Jurassic Park is probably the greatest movie ever made, so the possibility of owning even the tiniest fragment from its history makes me excited. 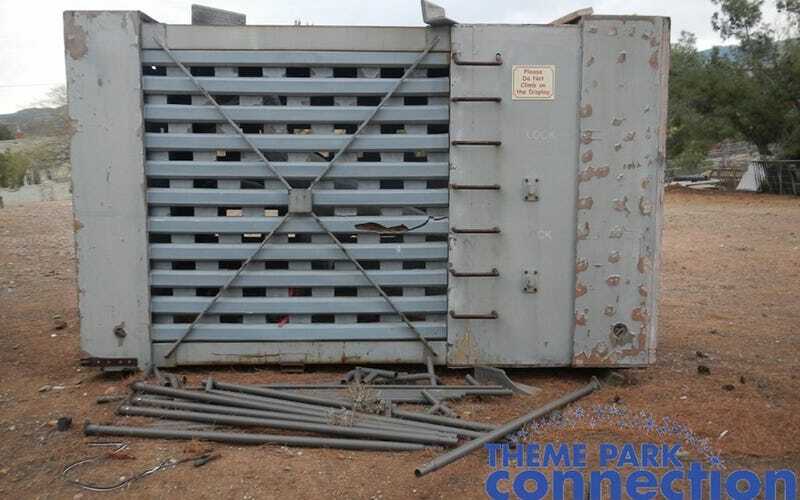 But if tiny fragments aren't enough for you, here's a huge prop that's up on Ebay's block this week: The velociraptor crate cage used in the film. Fake raptor prop included with purchase. You'll recognize the crate cage from the opening scene of Jurassic Park, in which a poor henchman is eaten by a vicious dino. (Shoot her!) It looks just the way it did in the movie.